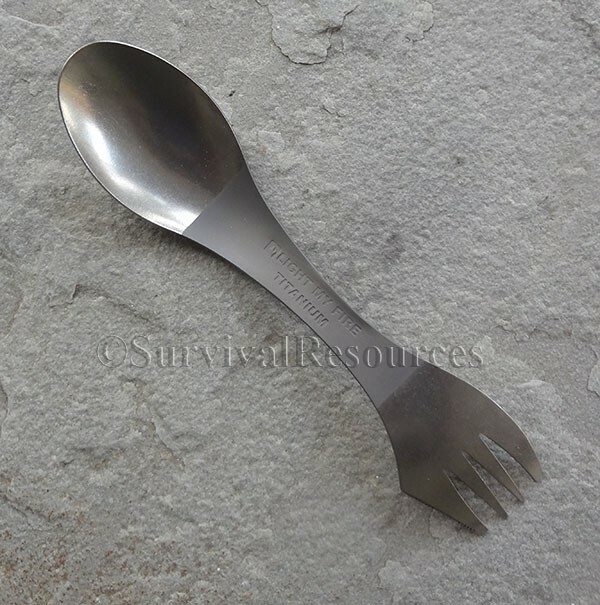 The most versatile outdoor eating utensil, the spoon-fork-knife combo makes eating--and cleaning up--on the go a breeze. Designed especially for Light My Fire by Scandinavian designer Joachim Nordwall, the spork is perfect for your backpack, boat, picnic basket, lunchbox, purse, or briefcase. This spork is made of titanium, one of the toughest alloys on the planet, widely used in aircraft construction because of its lightness, extreme strength, and long-lasting durability. Its high biocompatibility means that it is also safe and non-toxic. The same design as the Classic Plastic Spork below. Measures 6-3/4" long and weighs just 0.6 oz.